Hampshire Conference Bureau's 2019 Venue Guide hits the desks! In The Studio This Week: Hampshire Conference Bureau’s 2019 Venue Guide hits the desks! 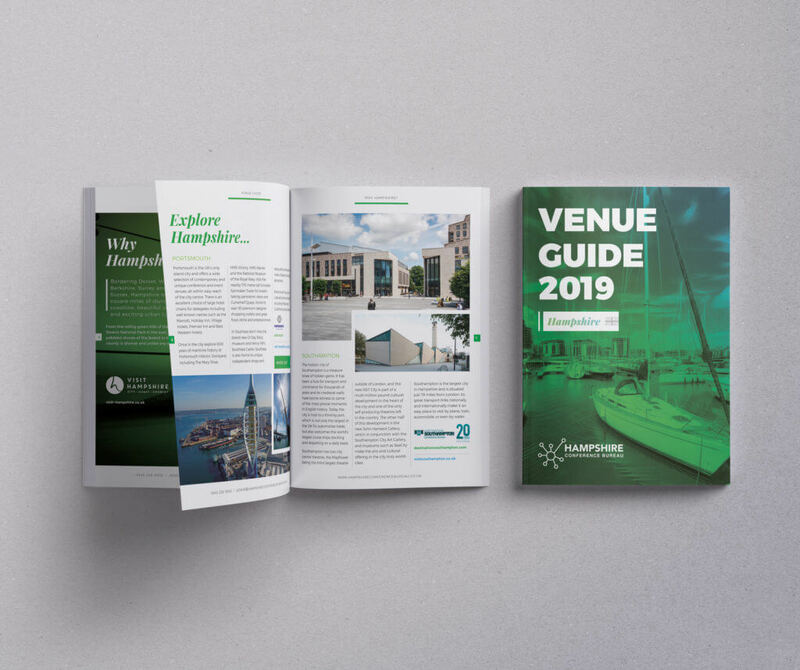 You may remember a few weeks ago we shared a recent design project for Destination Southampton; its 2019 Venue Guide. 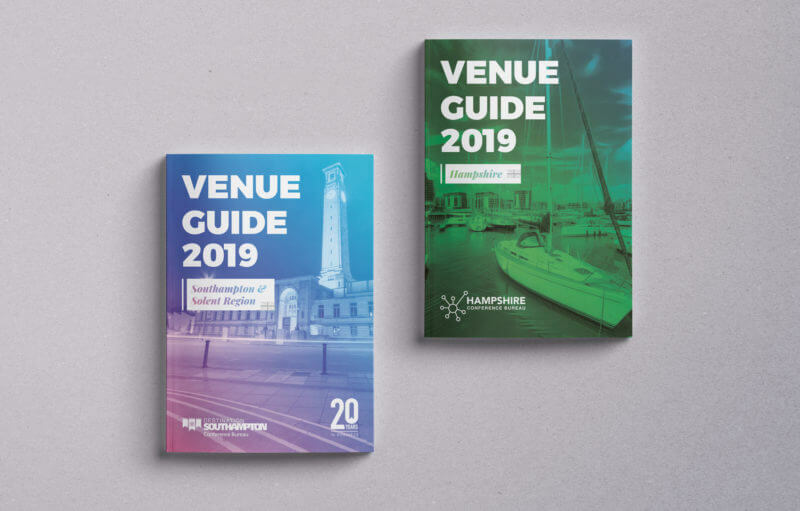 While this focused on venues in the Southampton region, we’ve also just finished working with the team on the Hampshire Conference Bureau Venue Guide 2019 in association with Destination Southampton. The Hampshire Venue Guide features (as you’d expect) venues from across the whole of Hampshire. 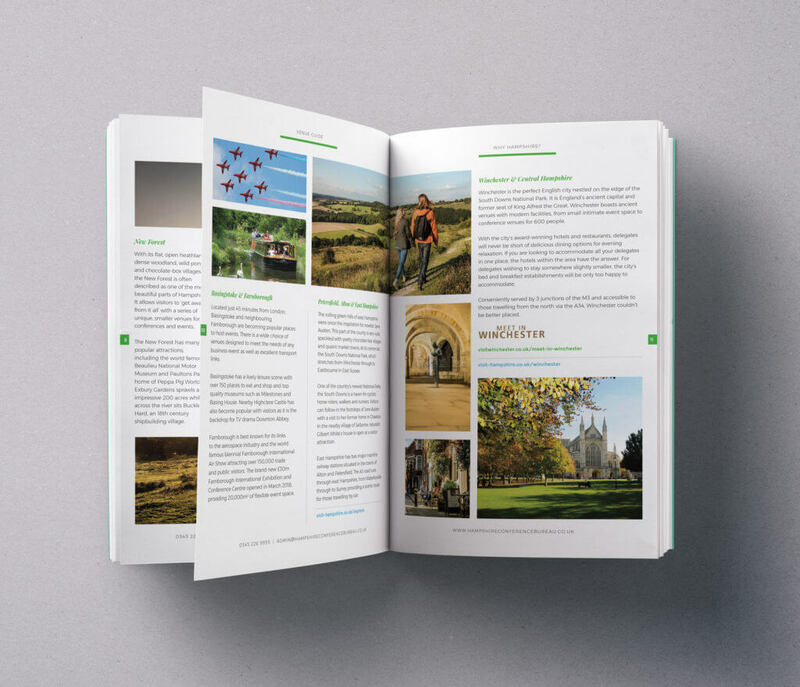 Being a Hampshire-based design studio, we could wax lyrical about the benefits of the county as an ideal location for any event, as well as its beauty and many attractions, but we want you to take a look at the guide, not listen to us harp on. This guide follows the same design theme as the Southampton guide and uses an alternative colour palette in accordance with the Hampshire Conference Bureau brand. The design remains visually intriguing, using an editorial design and in an A5 format. If you manage to get your hands on a printed copy you have to smell it too – yes, we know we’re weird! But there’s nothing quite like the smell of a freshly printed book or brochure. Hampshire Conference Bureau offers a free venue finding service for your next meeting in Hampshire. The Hampshire Conference Bureau team will provide you with a number of suitable options for your event based upon first hand knowledge of the venues concerned.